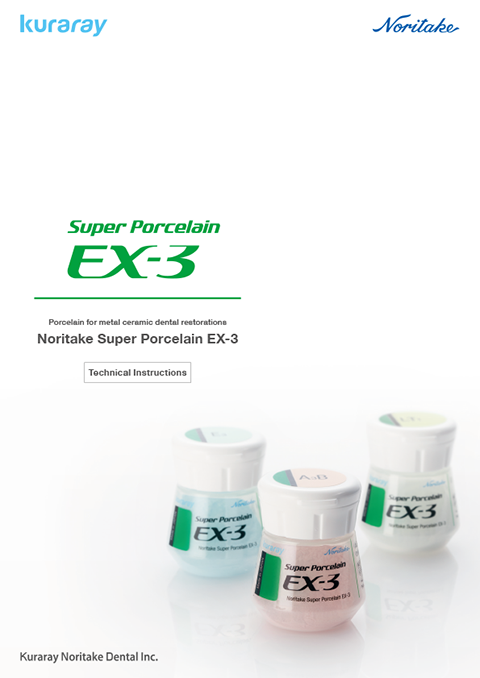 Noritake Super Porcelain EX-3 | Kuraray Noritake Dental Inc. 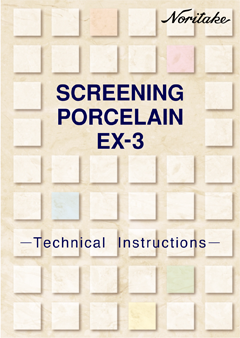 The fabrication procedures for NORITAKE SUPER PORCELAIN EX-3 are remarkably easy. 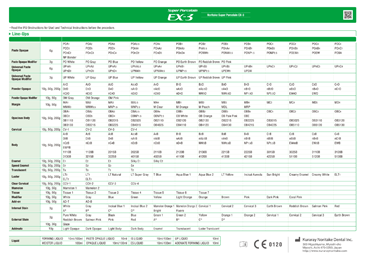 Its outstanding features are made possible because of its very fine particle size. 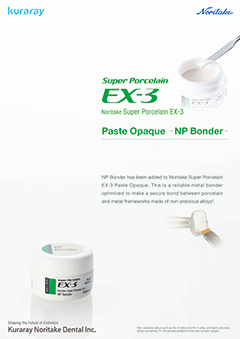 NORITAKE SUPER PORCELAIN EX-3 is superior to other dental porcelains because its coefficient of thermal expansion(CTE)remains stable during repeated bakings. when making a long span bridge, each unit may be precisely customized with repeated baking of the entire span with minimal risk of cracking. 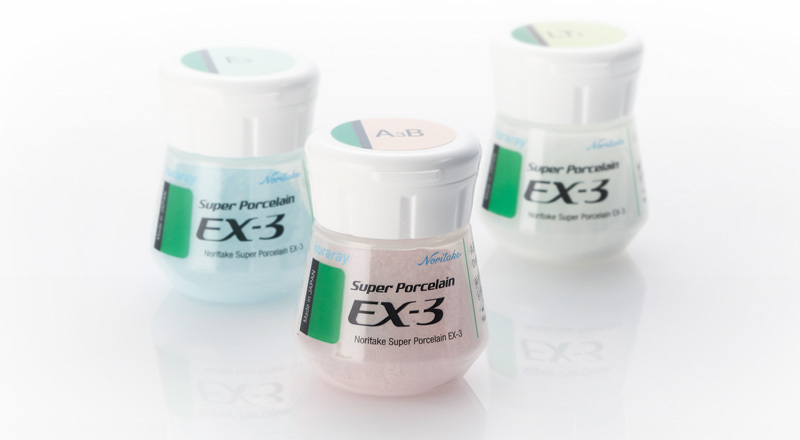 It is compatible with precious, semi-precious, non-precious and silverfree alloys for metal-ceramic protheses. Its fluorescence is ideal and it is highly resistant to silver-induced greening. 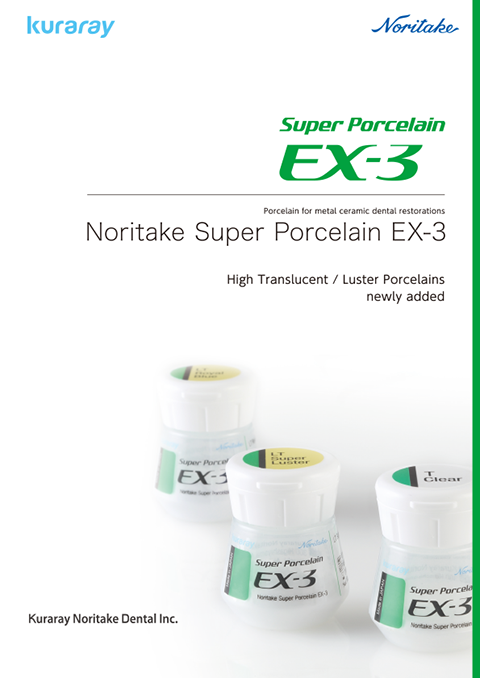 This combination of features makes NORITAKE SUPER PORCELAIN EX-3 an ideal choice for porcelain restorations.